NEWTON – Parents of students from both the Merriam Avenue and Halsted Street Middle Schools packed the Merriam Avenue School Library on Wed., Nov. 20, to hear more about potential plans to remedy the growth that is happening within the school system. Superintendent Dr. G. Kennedy Greene presented a brief PowerPoint about the topic, then spent approximately the final 40 minutes answering questions from parents. Other administrators were on hand at the meeting, including Merriam Avenue School Principal Karen Perez and Assistant Principal Kevin Stanton, and Halsted Street Middle School Principal Jeff Waldron and Assistant Principal Kristi Greene (no relation to Dr. Greene, the superintendent prefaced to parents). Greene informed parent there has been an upward trend in enrollment, something not seen in the other districts throughout the county, which, in turn, have seen enrollment declines over the last decade. The kindergarten through third grades, he said, have experienced an average enrollment of 91 per grade level, and fourth through eighth grades, an average of 73 students. Additional class sections have been added each year at Merriam Avenue School since 2011, and there are no available classrooms. Additionally, the school has become host to the tri-district’s (which includes Andover and Green Townships) preschool, which this year has 52 students enrolled. Greene said if the upward trend the district is expecting continues, Merriam Avenue, which currently has 561 total students, will expect to see approximately 600 students in two year’s time. The district would also like to expand on the preschool program, so that in the upcoming years, they can expect more students, and by the start of the 2016-2017 school year, accept a maximum of 80 preschoolers. The preschool program, Greene said, currently has a waiting list. What was proposed to remedy the increase, was first, to build additional classrooms. The “Pro” was that it could allow for further classroom space, up to 105 to 110 students per grade level. The “Cons” are: it is an expensive solution that requires a referendum, an addition could not be completed until the 2015-2016 school year at the earliest, the addition would take up some of the existing field, and more than 600 elementary school students, is considered a large school. “That’s an expensive solution,” Greene commented about the addition idea. “And I’m not really comfortable with having an elementary school with more than 600 students,” he added. The second proposal was the purchase of modular classrooms. The “Pros” for this idea was that it could provide temporary classroom space, which could be removed later for a decline of enrollment, and is considered a less expensive option than the referendum, ranging between $100,000 to $200,000 per classroom. “Cons” pointed out included: the potential for security issues, the modulars would need to be located on existing field spaces, and the school population would still exceed 600. The third option presented was to move the fifth grade class to Halsted, which the “Pros” included that the district planned the same grade configuration before the Merriam Avenue expansion (fifth graders attended Halsted before Merriam’s addition in 2001 – Halsted now has 223 students, and its capacity before the Merriam Avenue expansion was 375), and there is a lower cost for the renovations, estimated at $200,000 to $250,000 for renovations and furniture. The “Con” was the transition for the fifth graders. Most of the parents that contributed to the discussion were not in favor of the fifth grade moving up, and had concerns about the impact the transition would have on students, ranging from whether the fifth graders would mingle with the older students (an idea many parents eschewed) to the potential disruptions in their learning with the bell system there (fifth graders would not change classrooms and would have two teachers as they do in Merriam, where as the sixth through eighth graders change each period), and what the fifth graders would lose in terms of “specials” (art, Spanish, technology) which they currently have weekly and would have each marking period, as well as loss of the science lab they have at Merriam, which is considered superior to the science classrooms at Halsted. If this change took effect, Greene said, students would most likely transition to Halsted beginning in September, and would be given preparation to move up. This presented concerns as well for many parents, whose children look at the move from Merriam to Halsted as a rite of passage and ceremonious. Parents wanted to ensure children would have the same opportunities as before. Another question pertained to the maturity level of the students in fourth grades, feeling that children may not be ready to be schooled with middle school students, and feel the environment at Merriam is more nurturing and necessary for students at the fifth grade levels. In the mornings, all Halsted students mingle outside until the bell rings, in a supervised manner. Greene said that the administration will continue to provide the same focus on STEM as at Halsted, although the facility will be different than Merriam. Questions also ranged about why fifth graders would be moved up to Halsted if they were moved back before, which Greene said the move was due to the expansion at Merriam to lighten the enrollment at Halsted. A question also arose about a rumor of the eighth graders instead moving up to the high school, which Greene confirmed was incorrect and not a consideration. When asked if Andover or Green Townships would consider the preschool program in their districts, Greene said most likely not, as the majority of the preschoolers are Newton students. Greene also said from a planning perspective, the school is looking ahead only five years, as it can be difficult to predict what can happen in longer terms, although one parent asked that the district consider a longer-term approach, due to the Town of Newton’s redevelopment, including housing. Other parents suggested if space was available, why not move the preschool to Halsted or to Newton High School, especially since they felt the fourth graders would lose the use of the science lab, as well as the benefit of being taught by Mr. Sheerin, who many parents complimented for his fifth grade curriculum, and curriculum overall. Other parents proposed if there could be a delay in beginning a move like this, so that the students in the current fourth grade class would not spend their fifth grade year at Halsted, but instead, the class following theirs’ (the current third graders), would be the last fourth grade class to go through Merriam, and would have more preparation time to do so. Some parents likened their fourth graders as the “guinea pigs,” for a move like this, and felt it too rushed. Parents were concerned as well about the cost factor, which Greene said the board has applied for state grants, and have taken cost saving measures, such as by installing the solar panels, although a tax increase might not be out of the question. “All along the way, we are looking to save money,” he said. One parent, who has children at both schools, noted, “Halsted is a phenomenal school, I don’t think the kids will be going to a less excellent atmosphere. You do a great job,” she told the administrators, as she said she also hoped to reassure parents who did not have students there yet..
Parents complained as well that they were not notified of the meeting, some not receiving the letter sent home about it, others only learning today via Facebook posts between parents, and that the notification system via phone does not always work well. Greene added that the information is also texted and emailed to them. Letters were not mailed to parents, but put in backpacks and it was suggested they be mailed in the future. Greene said the public is welcome to the next board of education meeting, which will be held at the Halsted Street Middle School on Tues, Nov. 26, at 7 p.m. Prior to the meeting, the board members will take a tour of the school, to make some spending assessments, regardless of the decision made. Greene said a decision on the topic of handling the enrollment increase will not be made at this meeting, and it will be a time for Greene to report back to the board members, the feedback he received from this meeting. What is your opinion on this topic? Please complete our survey below, and let us know your thoughts. 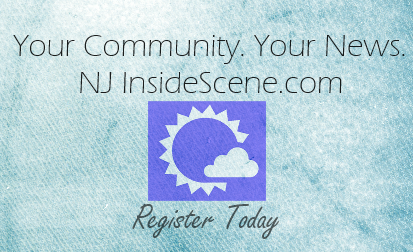 Stay on the scene with NJInsideScene.com! And follow us on Facebook!